SteamWorld Dig 2 for Nintendo Switch™ System and PlayStation®4 System, developed by Image & Form and published at physical retail by Rising Star Games, is now available at selected retailers across North America and beyond. For more information follow Rising Star Games on Instagram, Twitter,Facebook, or visit the official Rising Star Games website. Image & Form Games is a video game development studio made up of more than a dozen childishly creative people in Gothenburg, Sweden. We’ve been at it since 1997, and are more productive than ever. Historically we’ve developed more than 25 award-winning PC/Mac edutainment titles for Scandinavian publishers. Since then we’ve moved on to more ambitious projects. 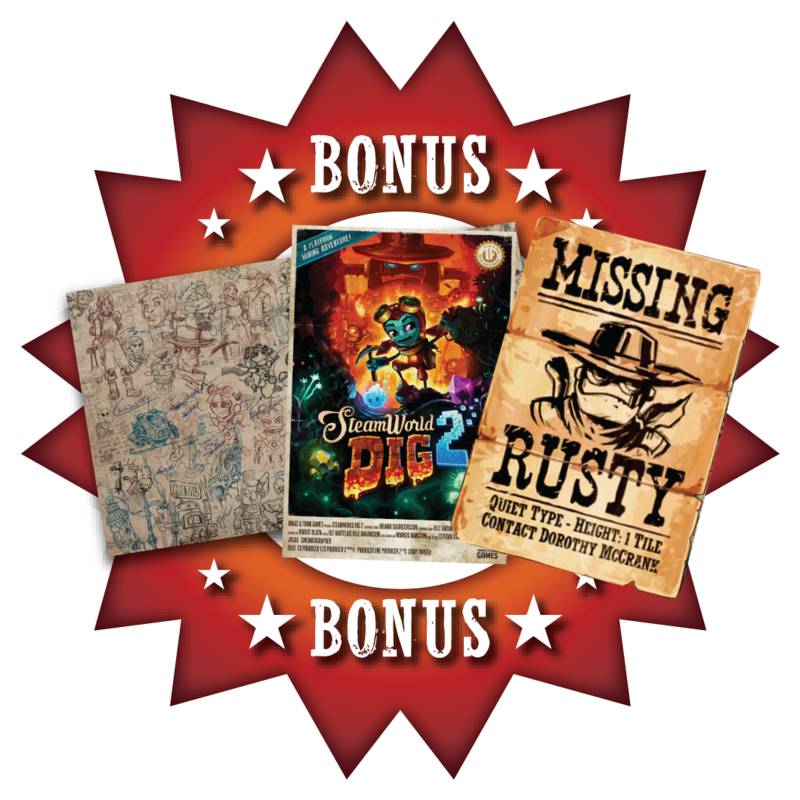 Our best-sellers SteamWorld Dig andSteamWorld Heist have captivated gamers of all ages all around the world and are blessed with multiple Game of the Year awards and nominations, including Best Original Game, Best Indie Game, and – wait for it – Overall Game of the Year!